Well past the tooth fairy phase of life, some (but not all) people will find their third set of molars vying for an appearance in their mouth. These are wisdom teeth. The average age for Rigby wisdom teeth extractions is nineteen, although extractions are also common through the early twenties as well. The older you get, the more complicated the procedure gets. 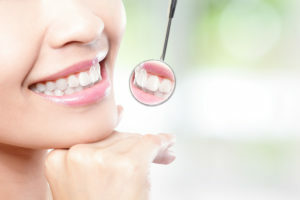 Therefore, opting for extractions around this time will lessen any complications that may occur. mended that we begin getting x-ray views of third molars starting in the mid-teens. This gives us plenty of opportunity to take care of them before they impact other teeth and create infection. Anywhere between 1 to 4 molars will be pulled during the procedure. Because wisdom teeth are extracted before they become impacted or infected, expect an incision site through the gum-line. It is likely that stitches would be required. It is very important you get plenty of rest and avoid any physical exertion after your procedure. Watch for bleeding. Some oozing of blood or blood tinged saliva for the first couple of days is normal. However, if you are seeing dark red clots of blood in your mouth, that is not normal. Put pressure on the site with clean gauze or a paper towel for 45 minutes. If bleeding persists, contact Dr. Mikesell. Eat soft foods until you can comfortably handle your normal diet. To assure you are getting adequate nutrition, drink milk, fruit juices, and ice cream. They have good healing nutrients. It is very important NOT to drink any food or drink through a straw. This can disrupt the healing cycle in your mouth. To keep the surgical site clean without disrupting the sutures, start by rinsing with salt water. Use a teaspoon of salt per one cup of water. You can use a soft brush to brush your teeth in the front and areas that don’t have sutures. After a couple of days, begin to brush the teeth furthest back, but be careful to not disturb any loose tissue that has been sutured into place. Within a week, the loose tissue should be much firmer. If you’re looking for the best dental office in Rigby for wisdom teeth removal, contact us today!